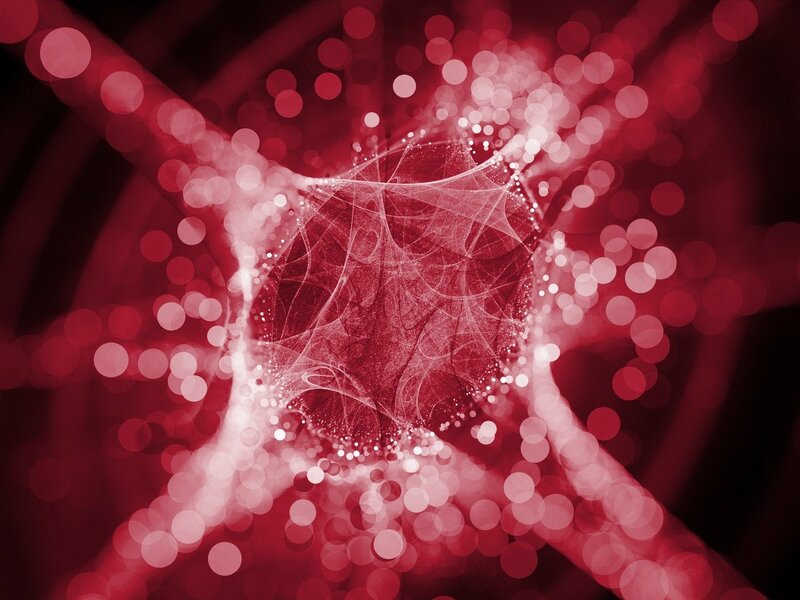 Next-generation sequencing (NGS) technology is advancing at a breathtaking pace and opening up a wealth of discoveries for life science and in vitro diagnostics. This, in turn, drives scientists to keep up or be left behind in the race to unravel the mysteries of life. No-one wants to finish last. Tedious, error-prone manual library prep is an excellent candidate for automation, but how do you find the automated solution that perfectly fits your needs? With NGS technology gaining traction, more and more laboratories are turning to workflow automation to remain competitive in life science and in vitro diagnostics. This is fueling development of innovative lab automation that takes human error out of the equation and makes integrated workflows easier, faster, more reproducible. Easy-to-use optimized systems make next-generation sequencing technology accessible to all labs. 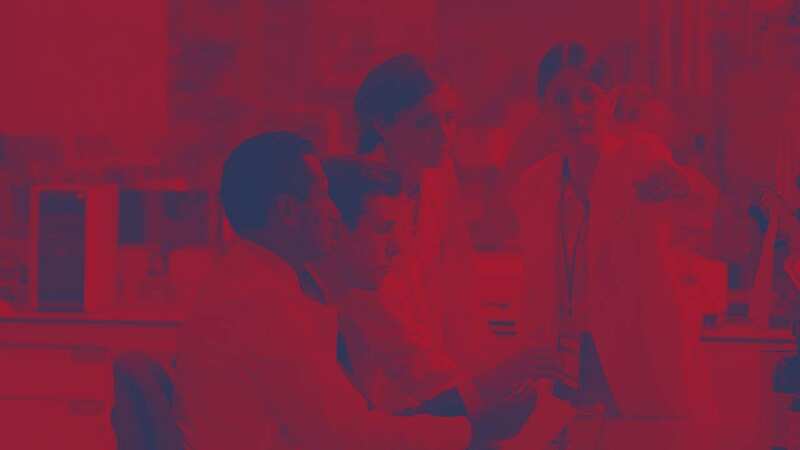 The standardized procedure eliminates the variability that inevitably comes with manual pipetting and increases the reproducibility and reliability of results. Optimized protocols and automated processing mean pipetting errors are a thing of the past and costly mistakes are reduced. Time-savings are achieved as lab personnel no longer have to carry out tedious, routine procedures – they can concentrate on the activities and experiments that make a difference, and increase productivity. Bias from technician-to-technician and sample-to-sample variability is reduced and systematic bias is controlled due to the controlled environment. The Next-generation sequencing workflow covers the steps from nucleic acid extraction through interpretation of results (see Figure below). The quality of the DNA or RNA used directly correlates to the quality of the results which means it is imperative to use a nucleic acid extraction method that yields the highest possible quality of DNA or RNA. Although NGS sample preparation is the step after nucleic acid extraction, it is still typically considered as the first “official” step in the next-generation sequencing workflow. It comprises processes such as target enrichment (by target-specific or random DNA amplification) and target depletion. Target enrichment can be used to overcome the challenges of target selection by enriching for specific subsets of the genome, meaning results are more focused. 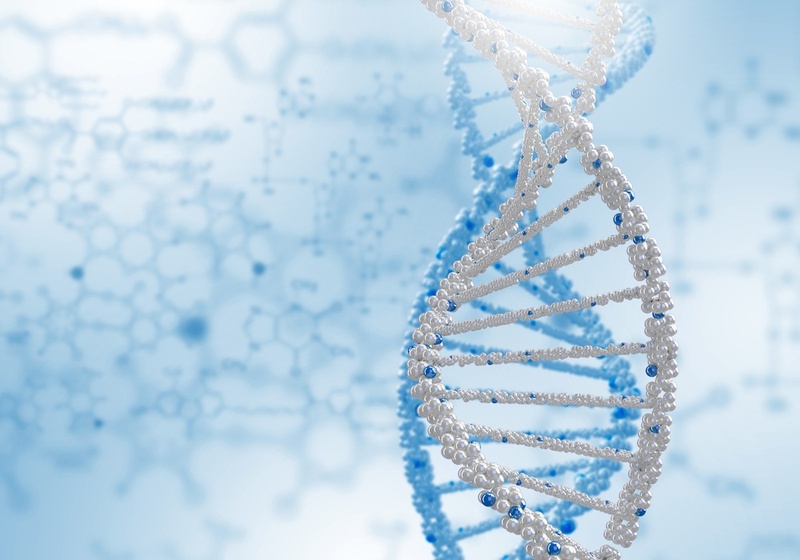 Target-specific primers capture desired DNA sequences, while random amplification has proved successful for samples with low nucleic acid concentrations. Target depletion facilitates removal of unwanted rRNA and enriches whole transcriptome RNA, getting rid of the low signal-to-noise ratio in RNA-seq. This is yet another crucial step in the NGS sample preparation workflow. Uniform sizing of DNA prior to library prep is crucial for the quality of the library and for obtaining good sequencing results. DNA can be fragmented by mechanical shearing or enzymatic fragmentation. Afterward, the ends of the DNA fragments are repaired followed by ligation of adapters and PCR. The size range of the DNA fragments depends on the method used for fragmentation. For best possible sequencing results, the fragment size should correlate to the read length of the NGS reader used. 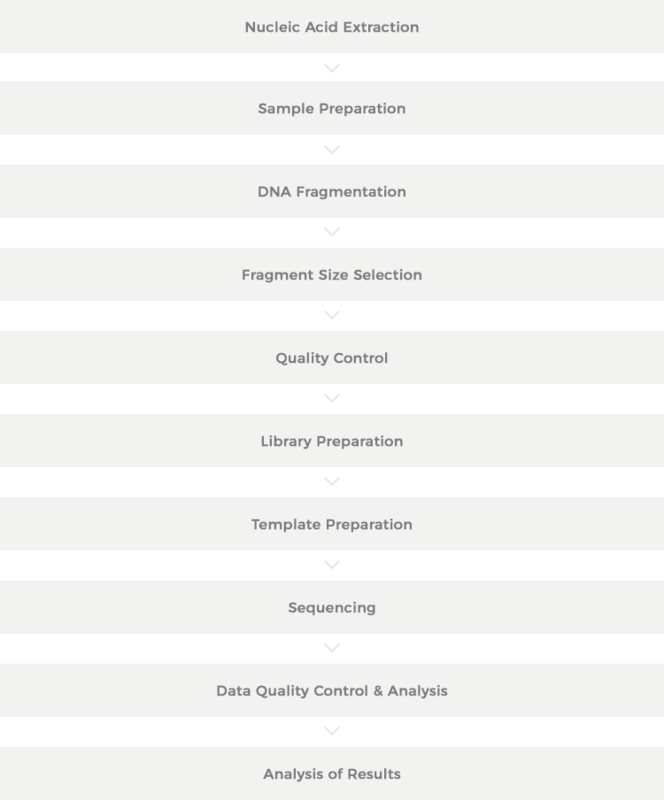 nd technologies for individual steps, or even sub-steps, through fully integrated NGS sample prep workflows. But it’s difficult to beat the bottleneck without at least considering automation. Although NGS workflow automation is gaining traction, the challenges of successfully automating such a complex workflow are enormous. It is also crucial to weigh up the pros and cons of different technologies, systems, and chemistries, and to understand the most significant factors for decision-making. Automated liquid handling systems are actually much more complex than you might think. They usually consume more reagents compared to manual pipetting because of the dead volumes associated with automated pipetting. This leads to reagent waste and higher costs per prep. Consumables are typically more expensive due to higher precision requirements. While this is a big challenge in systems engineering, it is not insurmountable. Workflows can be streamlined to reduce the number of pipetting steps and tips consumed. Adding sample barcodes and pooling samples as early as possible in the workflow helps to reduce tip consumption. Whenever a sample needs to be transferred in a particular workflow step, the sample should be added to the reagent, and not the other way around. This means that reagents can be dispensed into empty wells with a minimum number of tips used. If wells already contain sample, jet-dispensing of reagents may help to reduce tip consumption but there is a risk of cross-contamination. Alternatively, tips can be reused and there are different approaches for this. Tips can be washed. This approach has not been widely adopted though due to the risks of cross-contamination. And it is certainly not an option for in vitro diagnostics. Tips can also be parked and reused for the same sample. Interesting developments are currently being made to address the issue of high tip consumption with innovative technologies. However, these developments are at an early stage. The new approaches are challenging from the technology perspective, which is one of the reasons why these solutions have not been widely adopted. This is illustrated by the fact that the Illumina Neoprep was withdrawn from the market. Increasing accessibility to NGS technology combined with the almost exponentially rising number of samples is fueling the demand for smart liquid handling solutions. Current automated solutions ensure reproducibility of results and free up time to focus on other activities. The areas where significant improvement is needed are cost reduction and miniaturization. Reducing tip consumption is the first step in the right direction. We have been at the leading edge of lab automation for 20 years and have developed revolutionary systems for a wide range of application areas. In addition to this, we have optimized products with technical advancements, successfully prepared products for industrialization and serial production, and carried out life cycle management. Our applications expertise covers a wide range of technologies such as capillary electrophoresis, real-time PCR, Pyrosequencing, and next-generation sequencing. To learn more about how we have contributed to these development have a look at our reference products and technologies.